MANILA - The Commission on Higher Education (CHEd) is "tweaking" its scholarship program to allow more indigenous peoples (IPs), including the Lumads, to enroll in state universities and colleges (SUCs), the agency's chief said Thursday. While the free tuition law in all SUCs has been implemented, Lumads and other indigenous peoples cannot qualify for the program unless they pass entrance examinations administered by learning institutions. "We are tweaking our scholarship program. In the RA (Republic Act) 10931 IRR (free tuition law implementing rules and regulations), we're including there a provision that says state universities and colleges shall implement an affirmative action program to increase the number of students coming from disadvantaged regional groups and disadvantaged sectors like Lumads, children of rebel returnees," CHEd officer-in-charge Prospero De Vera told ABS-CBN News. De Vera said SUCs would be mandated to provide review sessions and other special learning programs for students from these sectors to increase their chances of passing entrance tests. "We will make sure the plan will increase the number of Lumad children in higher educational institutions. We are going the extra mile by helping them get into the state university," De Vera said. CHEd is also working with the Technical Education and Skills Development Authority to build training facilities in "the Lumad heartland." The short courses to be offered will "depend on the needs of the indigenous community," De Vera said. 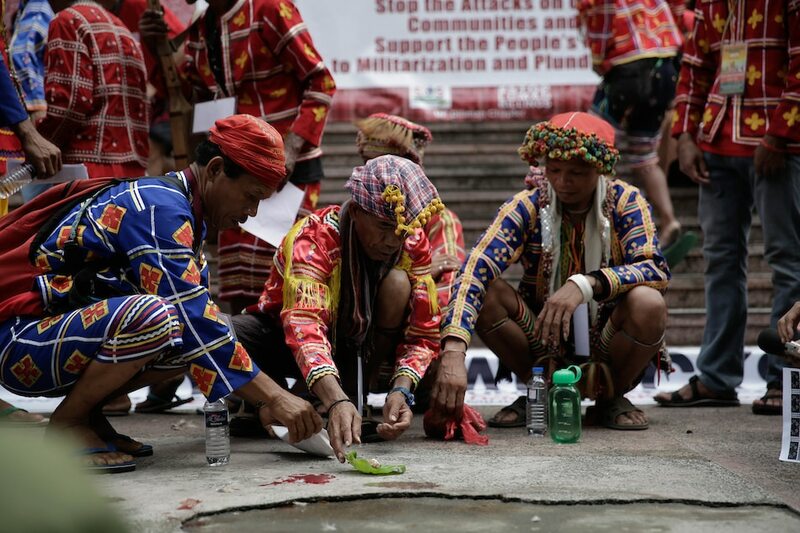 "We are going to create a delivery system to the ancestral domains of the Lumads in Mindanao. We're starting with Eastern Mindanao,"
"We have the money to do it. The allocation for the first year implementation of the law is P41 billion. It is more than enough to do it," he added. CHEd bared its prospective educational scheme for IPs and other disadvantaged groups a week after President Rodrigo Duterte warned University of the Philippines students that he would give their slots at the state university to "bright" Lumad students if they keep on skipping class to join anti-administration protests. Earlier, Duterte told tribe leaders that at least P100 million would be allocated for agricultural development in ancestral domains.